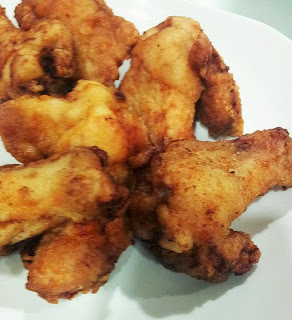 Just last week, I finally got down to my fried chicken experiment which I have been procrastinating in trying- buttermilk fried chicken versus KFC chicken. 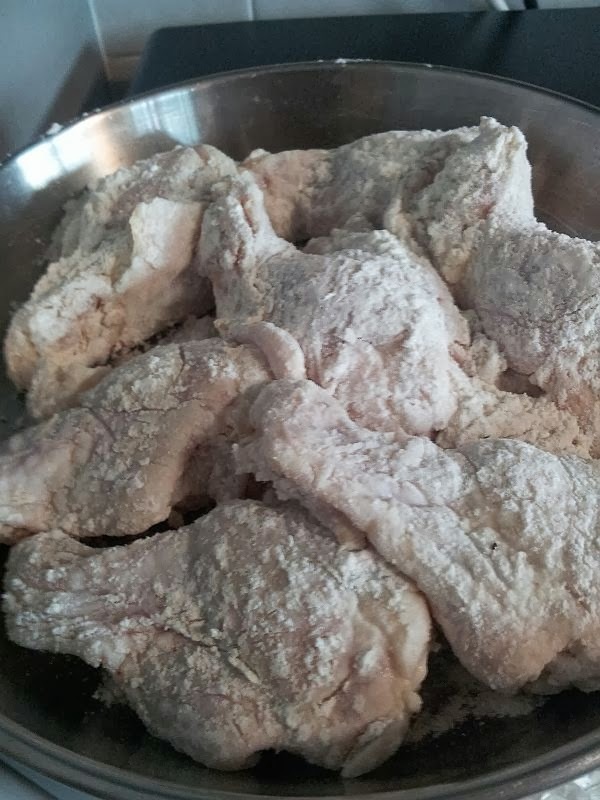 A while back, my friend posted a KFC chicken recipe in Facebook and challenged me to try. Result: I preferred the buttermilk taste... as I am quite sure the KFC recipe being shared in Facebook was probably a spam since I doubt they will reveal their real recipe online. 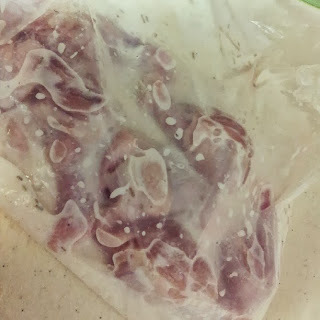 2) Remove the chicken from the buttermilk, pat dry it with paper towels, remove any herbs from the chicken and cover them with the seasoned flour.